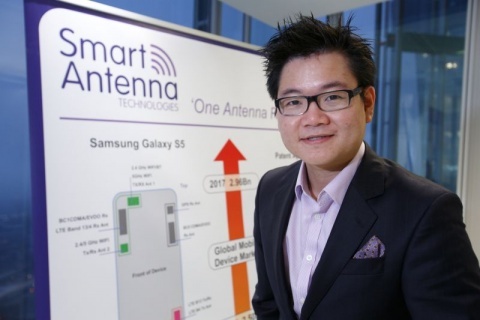 Bath SETsquared member, Smart Antenna Technologies (SAT), has announced a £1m investment raise. The company will use the injection of capital to both expand the world-class team of engineers and explore other markets for the technology. The investment comes from the University of Birmingham’s Spinout Investment Reserve, a £5m fund set up to support commercial applications derived from the University’s research. SAT is the first company to receive an investment from this fund. SAT, which was founded in 2013 by Dr Sampson Hu, has developed a new generation of antenna for smart phones and laptops. A typical smartphone has up to six antennas for GPS, Wi Fi, BlueTooth, 2G, 3G and 4G. Coupled with this, there are new radio standards such as 5G just around the corner. With more efficient antennas reducing power consumption from a smartphone’s battery, SAT says a phone’s battery life can be boosted by up to 10%.